Middle belt female music sensation, "B33is" with two strong singles to her kitty sends forth a 3rd dancehall single which hits us like a missile. 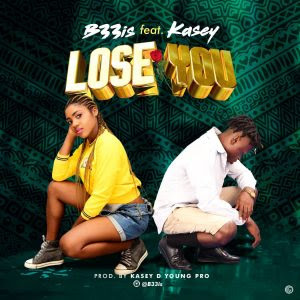 In her quest to thrill her fans and open new boundaries musically, the self acclaimed baddest girl in the industry teams up with "Kasey" to serve a hot tune titled "Lose You" which was produced by middle belt super talented singer and producer "Kasey". "B33is" has nothing to prove further as "Lose You" is yet another classic we will vibe to for a long time.